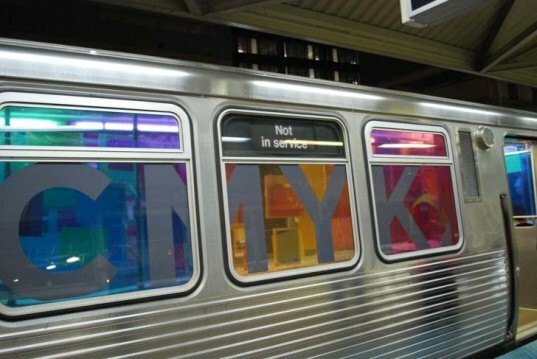 Each year, Art on Track transforms a CTA train in Chicago into the world’s largest mobile art gallery, infusing fresh art from stop to stop. Each car is curated by an artist or art group, and invites the public to board and interact. The next edition of Art on Track will open on September 22nd, with support from a Kickstarter campaign the group has recently launched. Art on Track is an innovative forum where under-represented artists can go wild and design an installation that is unlike the traditional white-box gallery. The exhibition repurposes a public train, transforming six cars into interactive art installations.To give art equality, the program picks both emerging and established artists and lets newcomers mix with art world veterans. The exhibition was started in 2008 by students at the School of the Art Institute of Chicago, and has brought exciting art to the city since. Since Art on Track is open to the public, they are largely funded by fundraising campaigns like Kickstarter. 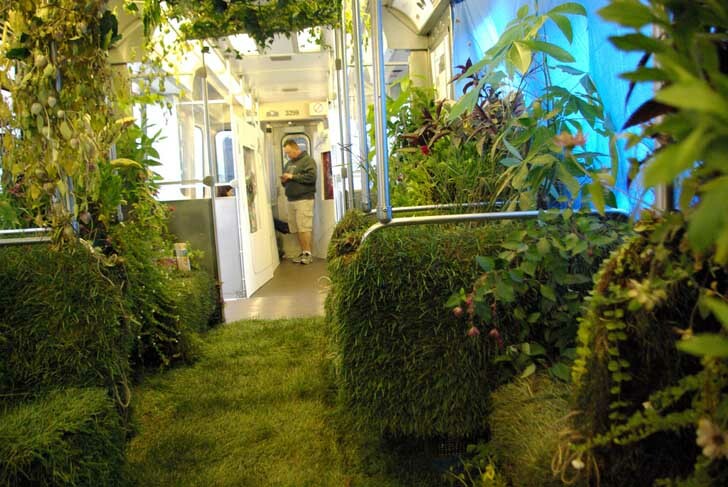 Last year, the exhibition featured a living garden car, with green grass and plants growing over the floor, seats, and climbing up the windows. Visitors could take their shoes off and wiggle their toes in the fresh grass, while moving from one destination to the next. Other installations transformed a car into a living room, lined the walls with prismatic colored gels, while another was filled with hundreds of blue balloons, and shredded recycled plastic. This year’s Art on Track is sure to be just as fun and inspiring. Visitors can get tickets (and other goodies) by supporting their Kickstarter campaign! Art on Track is an innovative forum for under-represented artists to go wild, and design an installation that is unlike the traditional white-box gallery. The exhibition repurposes a public train, transforming six cars into interactive art installations.The program picks both emerging and established artists to give art equality, and let new comers mix with art world veterans.